Are you disturbed seeing your newborn baby vision problems? Can’t figure out why such a painful thing happened to your little one? Do not worry, as vision problems in little babies are quite common and can be easily cured with proper medical treatment. 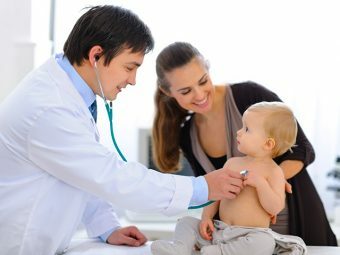 We understand that as a parent, your baby’s health is of supreme importance to you. Any sign of the baby’s discomfort can make you fret about a possible malady. Being worried is quite natural, as most parents are not always certain about the seriousness of the problem. The anxiety increases a lot more, if you notice that your baby is having some issues with her eyes. 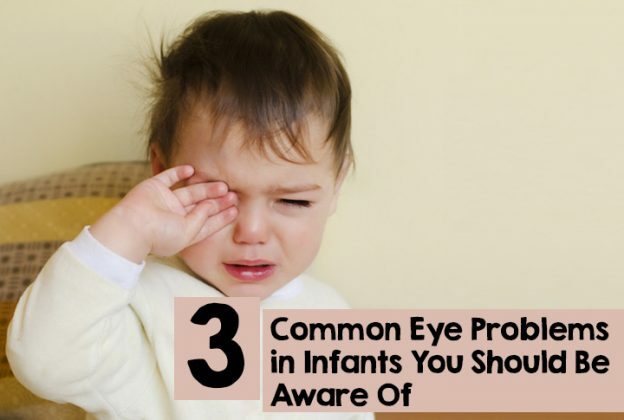 To ease your concerns we have compiled a list of some eye problems in infants with their possible treatments for you. Before you consult a doctor, it is good to have a general idea about the initial symptoms that usually affect a baby. This will help you take the right decision and also give you relief if you are able to comprehend the actual problem. Red Eyelids: Eye lids turning red could indicate an eye infection. Sensitivity: If your baby is too sensitive to light, it could be due to increase in pressure in the eyes. Excessive Tears: If your baby cries frequently, shedding lot of tears each time, it may be a sign of blocked tear ducts. White Pupil: If the pupil in your infant’s eye appears white, it might be early signs of an eye cancer. Neonatal conjunctivitis mainly occurs due to a viral or bacterial infection or due to a blocked tear duct. Eyelids become red and swollen. Watery or thick pus-like discharge from the eye. White parts of the eyes are red. Antibiotic Eye Drops: Antibiotics are drugs that attack bacteria. If your baby has conjunctivitis, antibiotics are typically applied to the eyes several times a day, till symptoms disappear. Though you can get these eye drops in pharmacies, it is best to get an eye doctor’s opinion before you apply them to your baby’s eyes. Gentle Warm Massage: Sometimes a gentle warm massage between the eye and nasal area may help, if the conjunctivitis is caused by a blocked tear duct. Gently press a clean cloth soaked in hot water between your baby’s nasal and eye area. Do this 3-5 times a day; the clogged gland will open and drain a white or yellow discharge. Salt Water Home Remedy: Drop a pinch of salt in a cup of boiling water. Make the temperature of the cup suitable for your baby. Then take a cotton ball, dip it in the solution and apply gently on her eyelids. Try this step for 2-3 times a day; it would definitely give some relief to your baby and remove sticky yellow drainage. Pseudostrabismus can be identified when the infant’s eyes look crossed, but are actually straight. In many cases, the cause of Pseudostrabismus can be the infant’s wide nasal bridge. The presence of extra folds of skin between the nose and the inside of the eye also causes Pseudostrabismus. Infant looks like he/she is cross eyed. The baby looks in side gazes due to the nasal sclera being buried in the epicanthal fold. In most cases, infants with Pseudostrabismus don’t require any medical treatment. But parents should consult with ophthalmologist to check whether the child has misaligned eyes or just Pseudostrabismus. Sometimes surgery is considered for cosmetic reasons. Amblyopia is common among infants and usually happens in one eye. This is caused by anything that blurs the vision, such as a camera flash, high spotlight, etc. Amblyopia starts when any one eye has much better focus than the other eye. ‘Lazy eye’ syndrome is curable if detected at an early stage, but if left untreated, an infant’s vision will never develop correctly in that affected eye. Decorate your baby’s room with a night-light or a dim lamp. Alter your baby’s position while sleeping. You can do that by simply changing the crib’s position every alternate day. Display few reach-and-touch toys in such a position which is easily visible by your baby. Don’t keep the baby idle for long. Even if you are not in the room, try to speak to him/her so that he/she realize that you are near and constantly changes the vision. 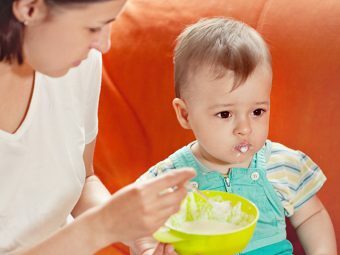 While you are feeding your infant, change to right and left sides each time. So don’t panic if you have any kind of issue with your baby’s eyes. Observe her closely and you will most probably find a solution. If you still think the problem is not within your control, don’t waste further time in consulting an eye specialist. How Can Parents Help Their Baby Learn To Sit? 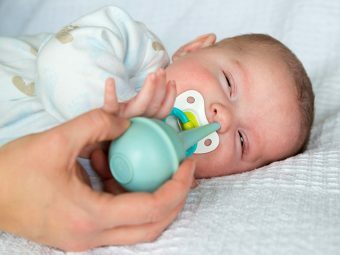 How To Use A Bulb Syringe To Clear Your Baby's Mucus? What Is A Baby's Soft Spot And How To Take Care Of It?